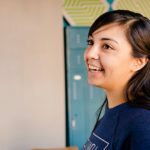 In a Forbes article titled, “How the Physical Workplace Impacts the Employee Experience,” author Jacob Morgan takes a look at what makes a great workplace. When we moved into our new space in January 2017, we took this idea to heart. 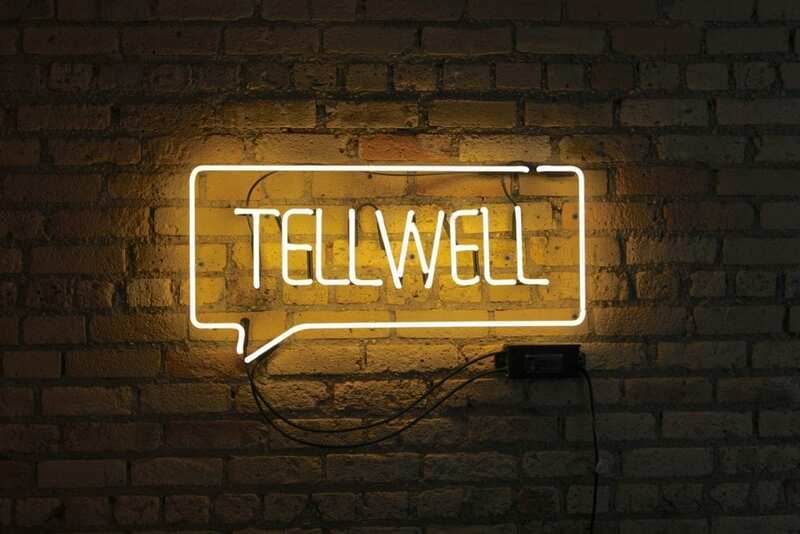 We wanted this space to reflect our Tellwell team spirit; bright, welcoming, and unashamedly millennial. (What can we say.) We painted the walls our brand colors, installed funky geometric carpet, and stocked the fridge with La Croix (or Bubly, or Spindrift). 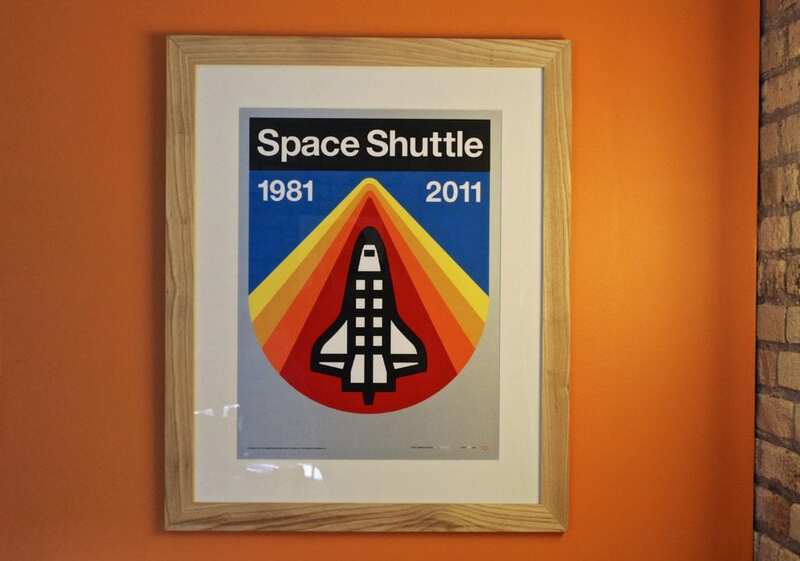 Today, however, one of our team’s favorite parts about our workspace is the artwork. As a creative team that does a lot of Post-It note brain noodling and team ideating, we wanted to fill our space with creativity. What better way to do this than with a smattering of art pieces throughout each room, from local artists and beyond! Today, we want to share some of that artwork with you; so we’ve put it all into a “Virtual Non-Pretentious Art Tour” of Tellwell. Grab your art critic hats and come along.  Before you even enter Tellwell’s art museum, you see our name beautifully displayed in an original piece from Grain Designs, local to Fargo. Made from steel and reclaimed wood, the piece was a gift from the talented team and is a proud “welcome to our home” for our new space. 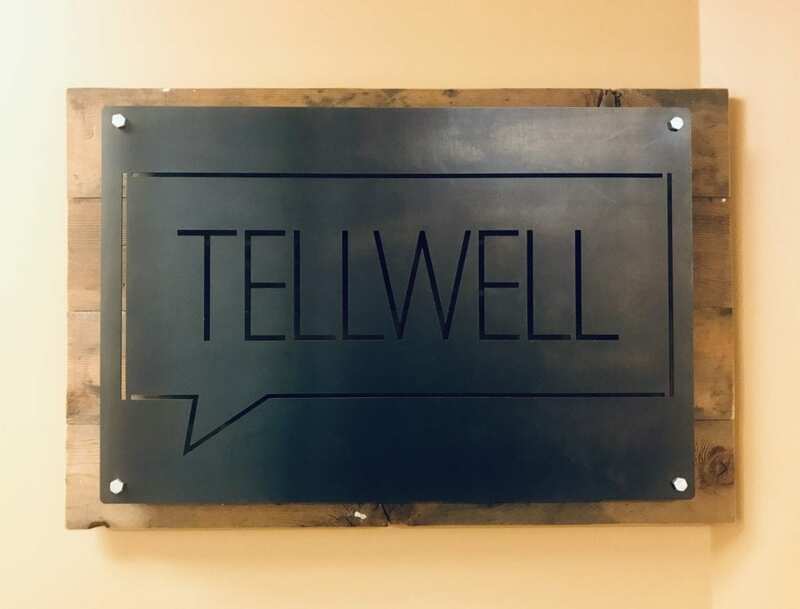 Upon opening the door, the first thing you see is a large Tellwell logo, white against the original brick wall background. We needed to claim our space, ya know? Thanks to our friends at Signs4Work, who are both skilled and super fun people to work with, this statement sign was the perfect fit. Signs4Work also crafted and installed a customized decal of our Tellwell “chat bubble” (not pictured). It might be hard to spot for the untrained eye but…. who doesn’t love a little game of “iSpy”? 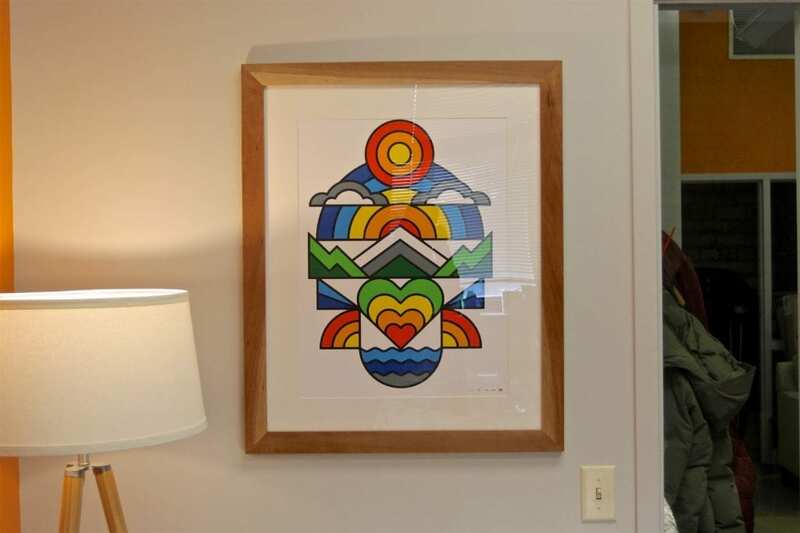 Another colorful Draplin piece that hangs in our central office, the “Lush Landscape” piece helps us get imaginative about the world, especially during those cold North Dakota winters. Research shows that bright colors have a positive effect on the people and environment — and when it comes to bright colors, this piece is a winner! Perfect for cocktail hour. Just kidding, we don’t drink in the office. Just kidding, we do. (Sometimes.) We love neon signs and the retro, luminescent vibe they bring, especially to these brick walls. 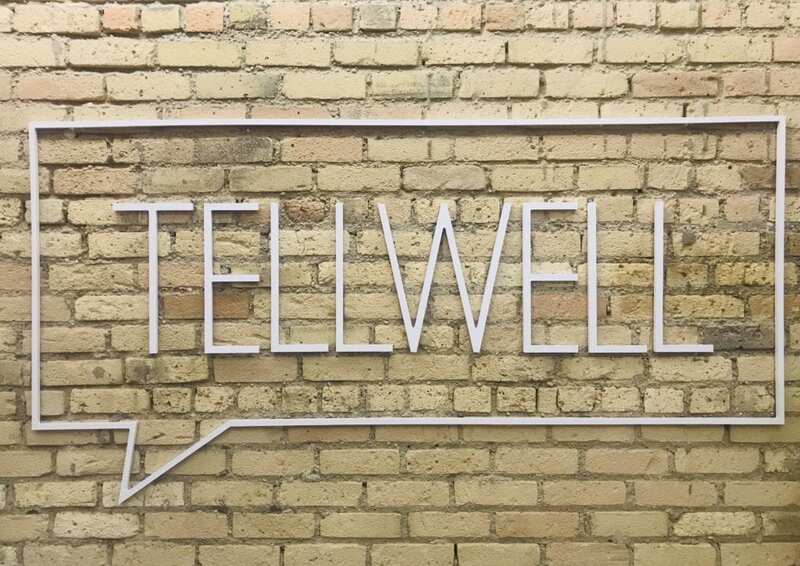 This was our first neon sign, a classic Tellwell logo, installed again by our handy-dandy friends at Signs4Work. Ok, confession: our team really loves Stranger Things. A lot. Case and point — when Season 2 debuted, Max ordered a secret delivery of one box of EVERY kind of Eggo waffles at Hornbacher’s to celebrate. (It was at least 12 boxes) And it was amazing. Even the Hornbacher’s delivery man commented, “This is one of my strangest deliveries…” So yeah, we love our Stranger Things fandom. 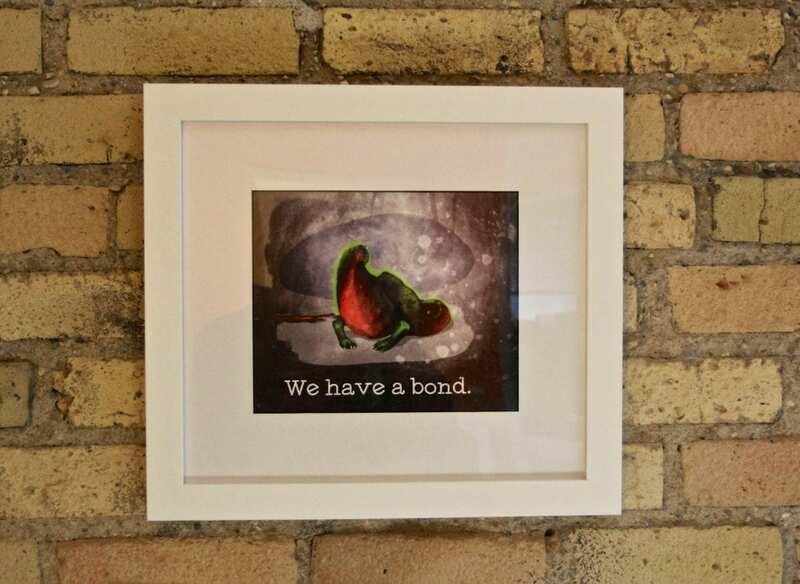 You can see it in the office with a few pieces from our friend, local artist, and fellow Stranger Things fanatic, McCal Joy. This little guy from Season 2 may look cute but (spoiler alert) he may or may not grow up to be a terrifying, dog monster without eyes. In this painting, however, he is grinning innocently with his sharp little teeth. Awww, hey there little guy. Let’s pause the tour for a quick break of hors d’oeuvres — and by that we mean some Pub Mix from Costco (next blog, “Tellwell’s favorite snacks”). We’ll pick up again with Part 2 coming soon! Previous PostStop — it's plog time!